Maesil Ju is a traditional Korean liqueur made out of green maesil plums. Sometimes also called plum wine, this liqueur is sweet, tart and refreshing on ice in the summer. You can enjoy maesil ju (green plum wine) as a dessert wine, on ice as an aperitif, mixed into a cocktail, or as an accompaniment to your meal. There are also Chinese and Japanese versions of this liquor or wine, but the Korean “plum wine” is made with soju and honey. For this recipe, you will need a huge liquid container** (at least 5 L). Mix maesil and brown sugar together gently in a container with honey. Pour in bottles of soju and combine with other ingredients. Cover and let sit in a cool, shady corner for 2-3 months. Serve chilled or on ice. * If you like your plum liqueur sweeter, you can also add more brown sugar after 2 months. ** You can drink the wine after a couple months, but the liqueur can also ferment up to a year. You can keep it in the original container or strain the wine and remove the pulp. In Korea, the green plums and their blossoms are a symbol of spring and are used as motifs in artwork and pottery. The maesil, or prunus mume, are native to southern China; they were later introduced throughout Asia. In the West, the fruit might be called the “Chinese plum” or the “Japanese apricot”, and in Japan, they are called ume. They are more closely related to the apricot than the plum. Different plum wines are popular through Asia, and Korea's version is sweet and a little bit tart. Maesil Ju can be enjoyed chilled after a meal or with snacks or meals. These green apricots can be made into tea or juice and pickled or preserved as condiments or snacks. 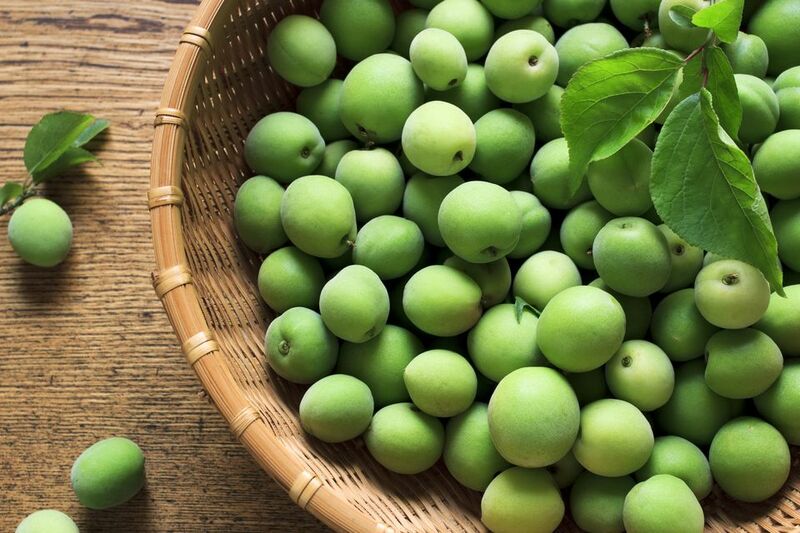 The maesil (green plum or green apricot) fruit has been used as medicine for centuries in Korea. The ``Dongeu bogam,'' an ancient Korean medicine text, notes the use of the maesil in Korea. It was used to treat blood disorders, dehydration, digestive problems, heart problems, and other ailments. Today, the maesil is used in drinks, in food and as part of Korean traditional medicine. A Sweet and Lovely Cream Cocktail for Dessert? When Life Gives You Lemons, Make Limoncello!